Finally, it’s Friday and you’re excited to start your weekend off right! You’ve invited family over for a small dinner party. Then you go to ignite your Lynx grill to preheat it and you discover it’s not getting above 300 degrees, or maybe it didn’t light at all. Don’t panic! Before you call your local BBQ Grill Repair company; read this! 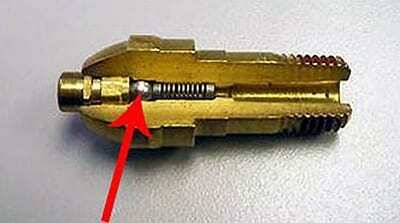 You will be amazed how often this simple procedure will fix your ignition issues. 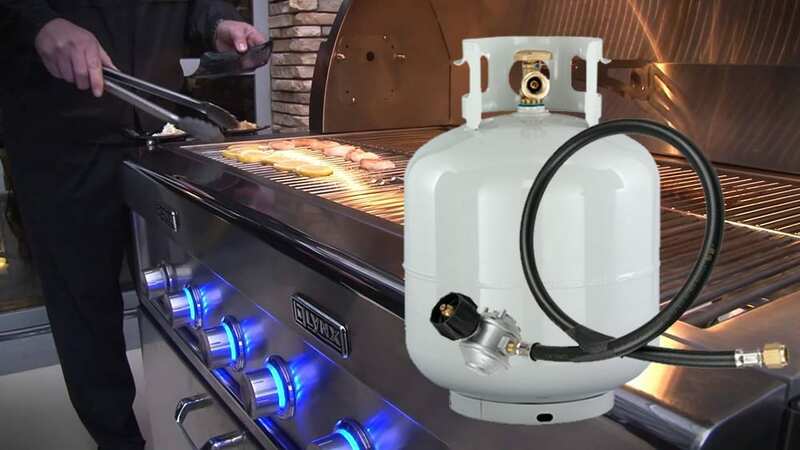 All BBQ Gas grills have regulators and they do what the name implies – regulate Propane. Regulators have a safety mechanism inside of them called a bypass. Take a look at the bypass system image. You can see it’s in a locked position. This is what it looks like when the safety mechanism has tripped. A leak can cause this, but most of the time we find it’s because the user used the improper ignition process; all though, sometimes it’s simply a random occurrence. 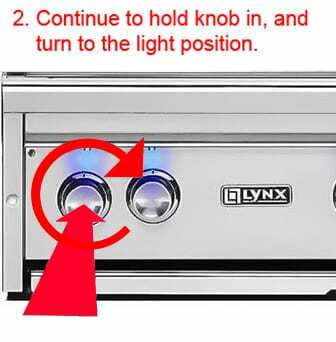 Before we get to the finer points, I would like us to establish a general understanding of the Lynx Grill ignition system. At Grill Tanks Plus, Lynx is our favorite grill; for many reasons. One reason is Lynx BBQ Grill repairs are always a pleasure when dealing with a world class organization like Lynx. Their service department is incredibly responsive. Most on point, however, is the brilliant ignition system design that comes standard in their Grills. The system greatly helps to decrease user error. Let me explain. * We always recommend you turn your propane tank off when done cooking and performing your 5 to 10 minute burn off. Therefore, the following sequences all assume you are beginning from the all-off positions. *** Everything must be off to start – the propane tank and burners. 1. Turn on your propane tank. 2. Now, you can turn the burners on. 3. Push the Ignite button. 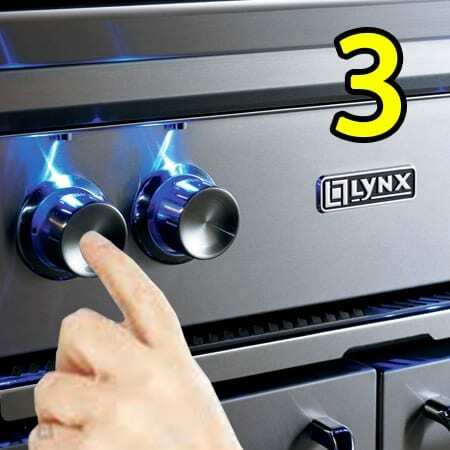 If you are familiar with how LYNX Grills work, you are probably having a good chuckle about the 3 images above because it doesn’t apply to LYNX at all! But that’s the point. Non-Lynx owners would see nothing wrong in those images. Hence, most people think of a 3 step process. This would, however, be the correct sequence for COMMON Grills. 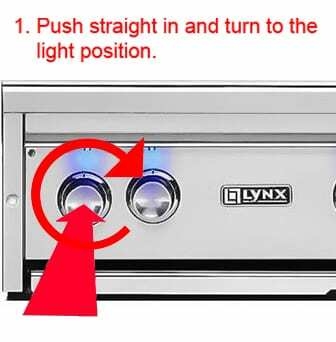 * It is important to note that there are 2 LYNX Grill ignition sequences in homes all around the world. I will cover both. It’s not that there aren’t 3 steps to the LYNX ignition system; it’s that they have consolidated 2 of the steps into one fluid movement. In other words, there is no separation between turning burners on and igniting them. Have a look at the image below. The image is showing that you must push the knob and turn it = One fluid step. 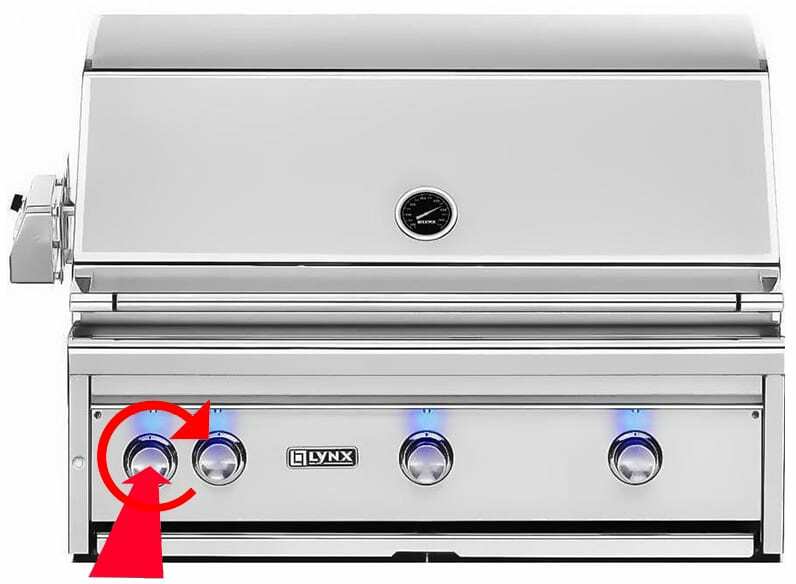 The reason why this system greatly decreases the likelihood of user error is that you can’t turn the burners on before igniting like you can with standard grills, because with Lynx Grills both things happen simultaneously. 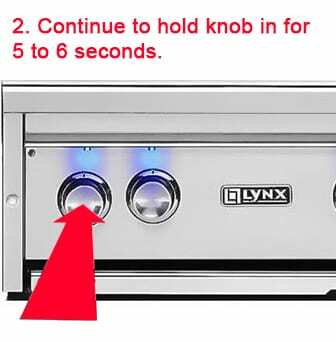 With a LYNX Grill, either the Propane is turned on, and when you begin your ignition sequence the grill ignites; or it’s not on and nothing happens. 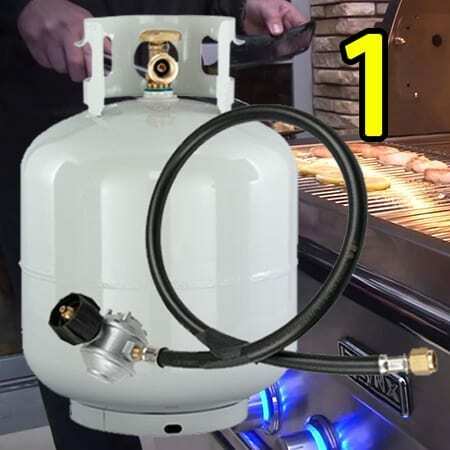 With normal grills you can turn your burners on 1st, then your propane, and then ignite; which is what causes the low line pressure in the hose, therefore, tripping the regulator bypass. The reason why the pressure in the hose dropped is that the user turned the burners on while the tank was off, therefore, allowing the propane to escape the hose/line and drop the pressure. In standard types of grills you must turn on the tank, then burners, then ignite. 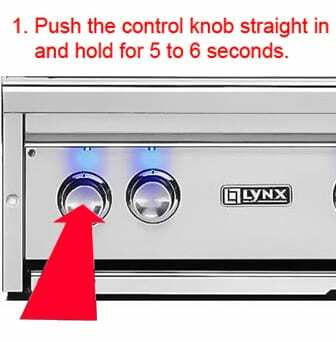 There are two different ignition systems for Lynx Grills and it depends on the year the grill was made. Grills made before the year 2010 had a similar system but the sequence was slightly different. Lynx Grills did and still does offer a retrofit. Therefore, you may have a Lynx Grill as old as 2007 that has the 2010 system. * For general inquiries about how you might get your retrofit kit call Lynx customer support. With the pre-2007 system “The Spark Ignitor System,” users had to push in the knob, turn it to the light position, and hold for 5 to 6 seconds. The way it worked was that upon pushing the knob the ignitor electrodes would begin arching, while the turning of the knob allowed the gas to flow. Now, while the difference is subtle it’s very imported to get right. In the post-2007 system, “the Glow Ignitor system,” the user is to push straight in the control knob, and hold for 5 to 6 seconds. Then one can turn the control knob to light. As I have mentioned before the Lynx Ignition System greatly decreases user error, but it does not eliminate the potential. One way it can happen is if the user believes the Propane Tank is already on and executes the ignition sequence only to discover the tank is not on. At this point, the user would have to leave the burner knob in its final position and turn the tank on. This would result in the bypass being triggered because the system would think a leak has sprung because having turned the burners on, the propane escapes and line pressure drops. However, at Grill Tanks Plus we rarely get calls about Lynx Grill regulator issues that were apparently caused by such an error. If we do get any calls related to regulators, they have to do with common wear and tear over time. Whoo, that was a lot of information! Finally, we get to the solution. 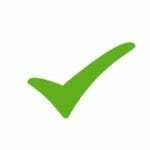 Of course, we’re assuming you have checked your Propane Tank to see if you simply need a new Propane Tank Exchange. 1. Turn off the gas at the propane tank. 2. Disconnect the hose from the propane tank. 3. Open the lid of your BBQ Grill. 7. Connect the gas line back up to the propane tank. If this solution availed no result, it’s time to call your local BBQ Grill Repair Company. There are numerous other more advanced issues that can occur. For instance, you may have a blockage in the Venturis Tubes. A blockage like this is caused by char/grease build up. You can decrease the likely hood of this ever happening by being sure to have a BBQ Grill Cleaning done regularly. Happy Barbecue Grilling To All! Grill Tanks Plus has been in business since 2011 and has well over 100 5 Star reviews. Specializing in all things BBQ Grill related, we put our clients first! 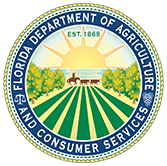 We are licensed with the Department of Agriculture LP Division and boast a 2 million dollar insurance plan. We are official Service Providers for Weber, LYNX, Ducane, and Alfresco, but we work on all BBQ Grills.